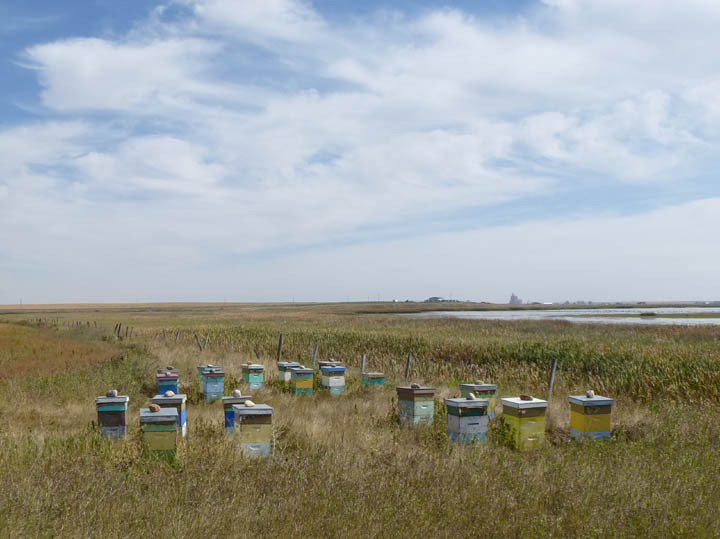 Beehives near a place called Michelsen's Marsh, south of Lethbridge. I don't recall ever seeing any of these before, but I saw quite a few of them driving around southern Alberta last week. We spent a couple of nights in Lethbridge and a couple in Medicine Hat. Both are quite attractive smaller cities, but I preferred Lethbridge. Maybe it was just the luck of the draw, but the hotel we stayed at and restaurants we went to in Lethbridge were much nicer. Lethbridge is also where I grew up, and I have mostly fond memories of it. 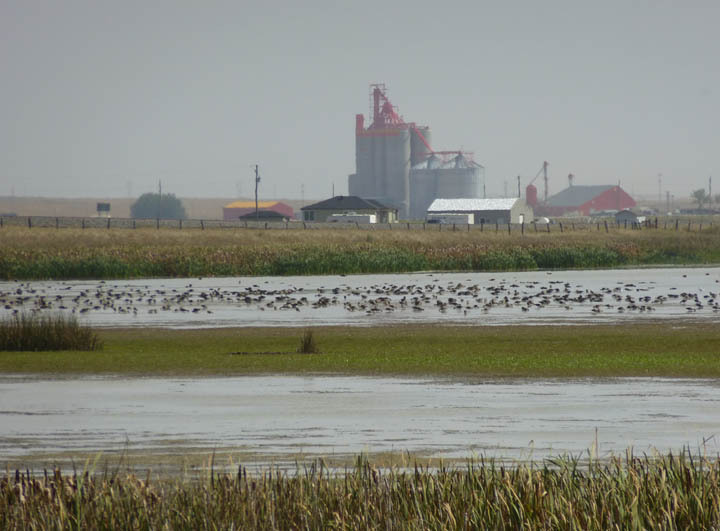 This is another shot from almost the same position as the first, but at full zoom, showing the huge number of ducks on the marsh. 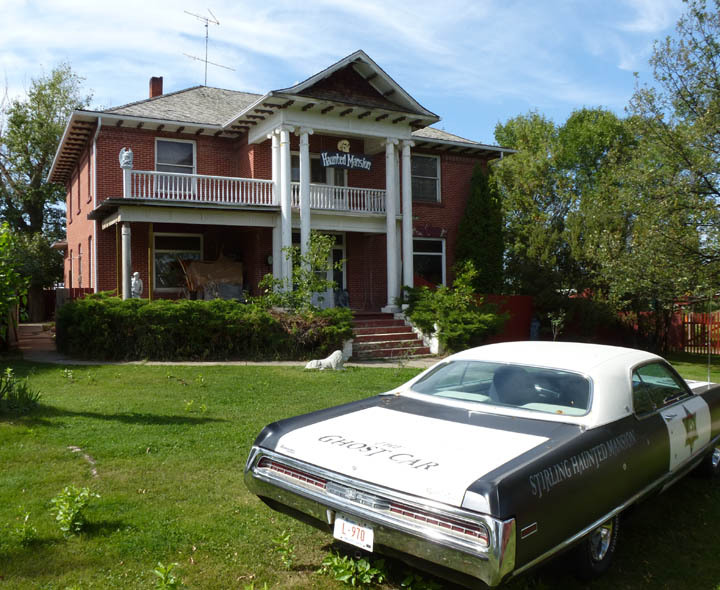 An old mansion in the town of Stirling. The town was founded in the late 19th century by Mormon pioneers. 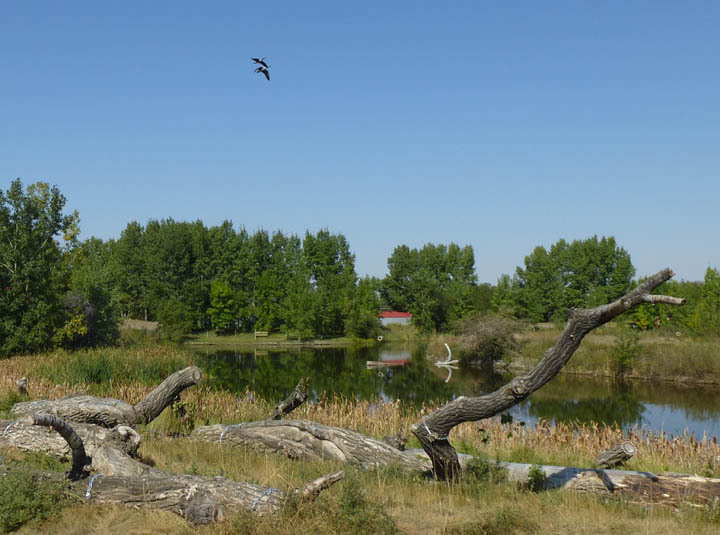 In Taber, we stopped at the Birds of Prey Centre, which was closed. But I got a picture of a couple of Canadian geese flying over a pond on the Centre's grounds. 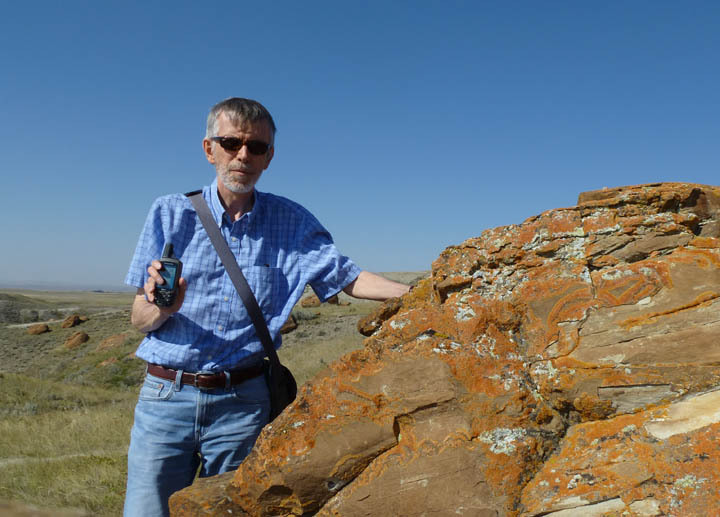 Me, geocaching in Red Rock Coulee. This is a somewhat remote location, about 20 miles off the main road. We've been here a few times before (see here, for example) and are usually the only people there. The bald-headed prairie. 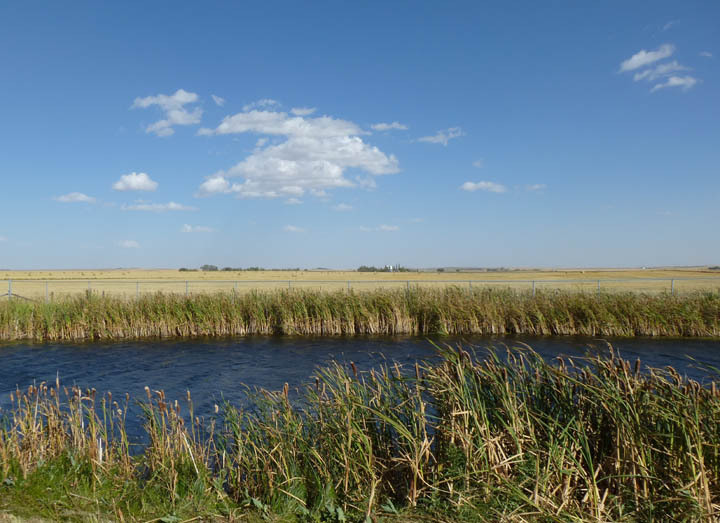 Much of south-eastern Alberta looks like this. I kind of wish I'd headed south-west instead, to the foothills and mountains. Perhaps next time.